Salim Mansur is an Associate Professor of Political Science at the University of Western Ontario in Canada. He is a columnist for the London Free Press, for the conservative blog Proud To Be Canadian and the Toronto Sun, and has contributed to various publications including National Review, the Middle East Forum and Frontpagemag. He often presents analysis on the Muslim world, Islam, South Asia, Middle East. . He is a member of the Board of Directors for the Center for Islamic Pluralism based in Washington, D.C., a Senior Fellow with the Canadian Coalition for Democracies, and an academic-consultant with the Center for Security Policy in Washington, D.C. 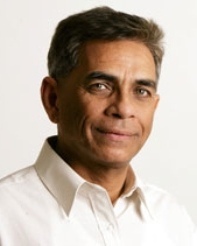 He has been a consultant with CIDA on development issues and has published widely in academic journals on foreign policy matters and area studies of the Middle East and South Asia. . Mansur is featured on the documentary Obsession: Radical Islam's War Against the West produced by the David Horowitz Freedom Center. He also unsuccessfully ran for the Canadian Alliance party in 2000. Mansur has been accused by Canadian Islamic Congress of using "provocative, self-serving rhetoric", and for "promoting an anti-Arab and anti-Muslim agenda". . Mansur is an Ismaili Muslim. . At a press conference on October 2, 2008, Mansur stated that "Islam is my private life, my conscience...[but] my faith does not take precedence over my duties...to Canada and its constitution, which I embrace freely;" "I am first and most importantly a Canadian;" "only in a free society will you find Islam as a faith and not a political religion." Mansur also criticized New Democratic Party Leader Jack Layton, whom Mansur said "has gone to bed with Islamists", because he is running candidates in Ontario and Quebec who are closely identified with the push for Sharia law. Something is rotten in the U.S.